The issue relates to the verb translated as “disobedient.” In the traditional text the verb is apeithousi (present active participle, dative masculine plural, from apeitheo) and in the modern critical text it is apistousin (present active participle, dative masculine plural, from apisteo). Thus rather than translate “but to those who are disobedient” (so NKJV) modern versions read, “But to those who do not believe” (so the NIV). The question: Does the authentic text here read apeithousi or apistousin? First, we need to look at the external evidence. 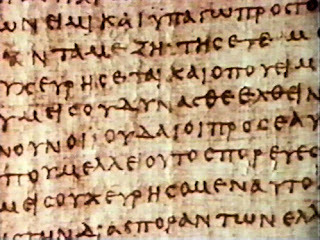 The traditional reading is supported by Codex Alexandrinus, Codex P, the vast majority of all other Greek texts, and the Syriac Peshitta. 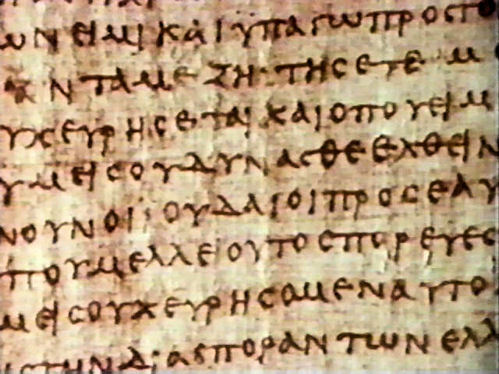 The reading favored in the modern text is supported by the twin heavyweights of Vaticanus and Sinaiticus and a few others. Next, we look at internal evidence. We might easily see how either word might have been confused with the other. Though a conservative interpreter, Edmond Hiebert accepts the modern “correction” noting, “The term ‘disobedient’ seems to have been imported from v. 8” (1 Peter [BMH, 1984, 1992]: p. 138), as indeed the verb apeitheo is also used in v. 8. Nevertheless, it seems to be equally conceivable that the verb was changed to apisteo in order to harmonize and draw a parallel with the first half of v. 7: “Therefore to you who believe (pisteueo)….” In this case the traditional text actually provides a more difficult reading and the modern text presents a more “smoothed out” rendering. Conclusion: There is no compelling reason to abandon the traditional text of 1 Peter 2:7a.